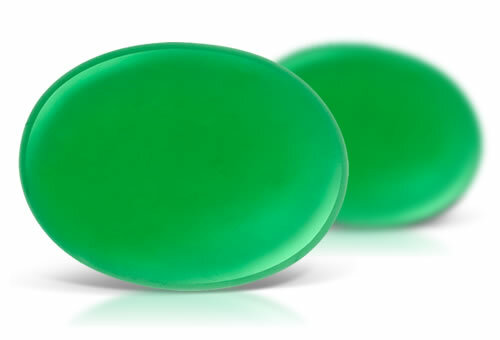 One of the most coveted varieties of chalcedony quartz, chrysoprase is prized for its apple green color and rarity. Chrysoprase's name comes from the Greek words chrysos, meaning gold and prason, meaning leek, due to its color similarities with the vegetable. Color is natural and due to nickel. Color can fade if exposed to heat or sunlight and might be restored if stored in water. If found with brown or white matrix it is called chrysoprase matrix.